Newton director Amit V Masurkar today said Rajkummar Rao deserved to win a National Award for best actor. Rao played the title role of a green-horn government clerk who perseveres to conduct fair, free elections Masurkar's dark comedy on Indian democracy. Newton was named the best Hindi film and a special mention was given to its actor Pankaj Tripathi. The filmmaker said Rajkummar, who already has a best actor National Award to his credit for Shahid, should have been recognised for the work he has done in the year gone by. "I definitely feel Rajkummar should have been awarded, he has done a brilliant job not only in Newton but others films like in Trapped, Bareilly Ki Barfi, he has done lot of good work this year (2017). And it would have been great if he would have got some award. "(But) I don't think he holds such expectations. He is someone who does his work and moves on. He has worked on four-five films after Newton," Masurkar told reporters here. Actor Riddhi Sen was named the best actor for his performance in Bengali film Nagarkirtan at the 65th National Film Awards, that were announced today. 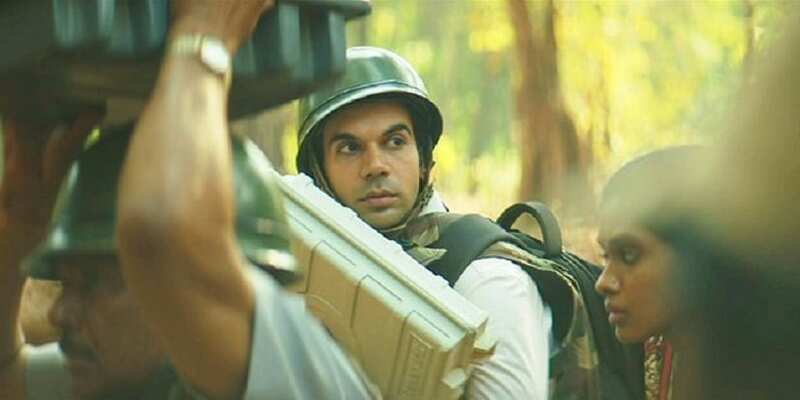 He said Rajkummar is elated over how Newton performed at the awards. "Yes. He is very happy. He is a very positive person. He has won a National award before. For us, it is the first time," the filmmaker said. On Newton emerging victorious, Masurkar said, "It feels very good. We are very happy that Newton got the best Hindi film award, thank you jury and people for the love and the whole team." Newton was also India's official entry to this year's Academy Awards in the best foreign language film category. It did not, however, make it to the shortlist.